What we specialize in is providing man and van services in Enfield Highway, EN3. We are aware that moving takes a lot of preparation and many things that have to be taken into consideration. Whether you are moving home, office or a whole company, we offer all you need. From the moment we pack your items to the moment we unload them at your new location, rest assured that everything will go according to plan. Assigning the task of moving to our man and van, you can heave a sigh of relief, because your belongings are in safe hands. All it takes is calling 020 8746 4391 right away. We are a leading EN3 man with a van company in Enfield Highway and a chief provider of all kinds of relocation services. Moving homes and offices is our specialty. No one rivals us when it comes to safety and reliability. Committed to helping people from the very beginning to the very end of the removal process, hiring is would be the best decision you can make. Even if you are moving heavy objects like a piano, rest assured that we know the best ways of safely packing and transporting them to the desired location. Do not miss the great opportunity to receive quality and affordability in one place. Contact us on 020 8746 4391 without a delay. When It Comes To Moving Houses - Choose Our Man with Van Service! Our removals van experts are highly experienced to take care of your possessions in the best manner possible! We provide various number of packages, boxes and foils as part of our packaging services in order to ensure your belongings are transferred safely to your new place. We know that this is important for you, so that we use only highly protective materials in order to secure nothing will be damaged during the moving process. Call us and reserve our professional man with van services in Enfield Highway today! It is easy to move with Man and Van Star. We create a check list that best suits all your needs. Doing so, we ensure that the whole process will run as smooth as possible. You can also use it as a guidelines to check your belongings are well sorted and everything is packed properly. Our man with a van experts can set up a plan for each step of the removal, so that we provide the service even if you're not present. You can fill in your household moves preferences and request online and we will respond quickly. Moving Houses in EN3 and Need Help? Just Give Our Man and Van Company a Call! When it comes to moving houses, a lot of people fear to do it themselves, because of lack of enough information on the process itself. Our man and van specialists can ease your worries by providing a handful of practical and useful pieces of advice. On each stage of the removal process to, from or within Enfield Highway and the whole region you will be supported by our professional attitude, friendly tips and amazing man with a van EN3 company. Hesitate no more and reserve our services on 020 8746 4391 today! 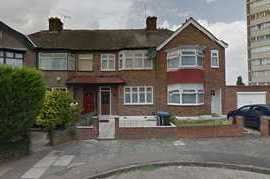 The area of Enfield Highway is located on both sides of the Hertford Road, within the London Borough of Enfield. The settlement dates back to the 18th century. The area features three education institutions: Bishop Stopford’s School, Enfield College and St Igntius’ College. In 1910 a public library opened for the first time in Enfield Highway. It was built with the money from a Carnegie Foundation grant. The west side of Hertford Road features six almshouses, built by Charles Wright. The nearest stations that serve the area are Brimsdown and Southbury railway stations. Bus routes 279, 121, 307 and 191 serve the main road of the area.